Joining the conversation. Helping to end the stigma around mental illness. 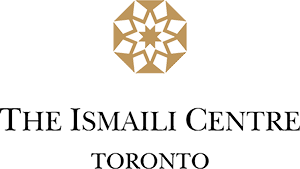 On January 30, 2019, Bell Let’s Talk Day, the Ismaili Centre, Toronto launched a three-part series - Minding the Gap: A Conversation on Mental Health from Stigma to Treatment Innovation. To commemorate International Day of the Girl Child, we look back at the Skate Girls of Kabul photography exhibition, created by artist Jessica Fulford-Dobson, and curated by Marianne Fenton. The exhibit was showcased at the Ismaili Centre Toronto, Aga Khan Museum, and Aga Khan Park in Autumn 2017, and at the Ismaili Centre Dubai in Spring 2018. Canadian Prime Minister Justin Trudeau celebrated the occasion of Navroz yesterday at the Ismaili Centre, Toronto where it was announced that the Ismaili CIVIC 150 initiative surpassed its pledge of service.